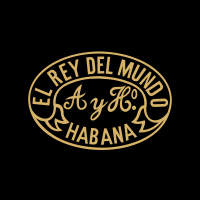 IN 1882 THE ANTONIO ALLONES FACTORY, WHICH HAD BEEN MAKING HABANOS FOR OVER 30 YEARS, DECIDED TO LAUNCH A NEW BRAND OF PREMIUM QUALITY AND PRICE. With great confidence but little modesty it was named “El Rey del Mundo” – The King of the World. It proved a winner. This success lives on to this day in a selected range of Habanos renowned for its light to medium flavour and consistency.